In the last two years I’ve been carefully following the development of a new musical based on the life of Aimee Semple McPherson, the Founder of the International Church of the Foursquare Gospel. I originally became aware of this musical while preparing to interview Kathie Lee Gifford on my daily radio talk show “Live from Seattle.” Kathie Lee was in town promoting her new musical which was premiering at Seattle’s 5th Avenue Theatre. The press release said the musical was based on the life of famed evangelist Aimee Semple McPherson. This immediately perked my interest as, along with being a talk show host, I am also the senior pastor of a Foursquare church. Besides ministering within the denomination Aimee Semple McPherson founded, I’ve also spent many hours researching her marvelously complex life. I am by no means naive concerning the complexities of Aimee Semple McPherson. I’ve read both congenial and hostile accounts of her achievements and escapades. I’ve listened to her messages, read her writings, and thumbed through a biography or two concerning her life. Regardless of the salacious details or accusations that swirl around her, I have fallen in love with Sister Aimee’s life and legacy. Her story cannot be explained or compartmentalized into a simple narrative. She was wonderfully complex, flawed, and faithful. Regardless of her own shortcomings, she produced powerful fruit that is still transforming the world. In a male dominated society, hostile towards Pentecostal and charismatic manifestations, she made a mark that was simply miraculous. Thousands were healed and saved in her citywide evangelistic outreaches. In her brief life, she developed a large thriving church, Bible college, denomination, and radio station. Her work has birthed thousands of churches and raised up thousands of leaders who also carry her vibrant passion to spread the Gospel throughout the world. She was one of the most influential people of her era. Simply put, I’m a fan. With this in mind, I was somewhat concerned about the possibility of her life being turned into a musical. My fears were quickly assuaged as I began to talk with Kathie Lee Gifford. Like Sister Aimee, Kathie Lee is a woman that cannot be easily categorized. She is a television host, singer, songwriter, actress, and author. As a celebrity, she has been both praised and lampooned, celebrated and misunderstood. As I sat down to talk with Kathie Lee, I immediately noticed her profound love and respect for the life and legacy of Aimee Semple McPherson. 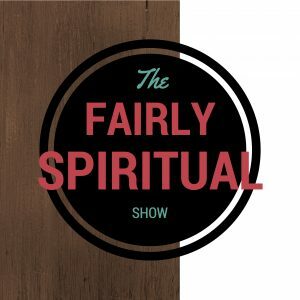 As we talked, I could tell Kathie Lee was attempting to tell an honest story that delved into the faults and fragilities of Sister Aimee but still honored, respected, and celebrated the faith convictions that motivated Sister Aimee’s life. Kathie Lee was so respectful of my opinion and insight that she invited me to watch a rehearsal of the show before I attended opening night. At rehearsal, she introduced me to the director David Armstrong and to her music writing team, David Pomeranz and David Friedman. Each person involved genuinely cared about how I perceived their portrayal of Aimee Semple Mcpherson. After the opening night performance, I immediately went home and posted a glowingly positive review. The following excerpt best explains my response to Kathie Lee’s musical. “Kathie Lee Gifford is a talented lyricist with a keen awareness of the tension that embodied Sister Aimee’s life. Aimee chose a path that kept her from being accepted by almost every side of the religious spectrum, yet she was still loved by thousands upon thousands of faithful followers. She was too churchy for the pagans, and too pagan for the church. Too worldly for the saintly, too saintly for the world. Too joyful for the pharisees, and too vulnerable for a media machine that will chew you up and spit you out. Even so, God made her life into something beautiful, into something no man or person could ever defile. It seems fitting that Kathie Lee Gifford would create a musical that will surely face the same criticisms. The churchy will most likely claim the story is not religious enough. And the irreligious will accuse the musical of being a tad bit preachy. Which in my mind makes this production just right, a true testament to the complex life of Aimee Semple McPherson; a woman who transcends the cliches and rhetoric. A woman whose story could never be completely and accurately told by anyone but God. After talking with Kathie Lee on several occasions and experiencing the musical at the 5th Avenue Theatre, I began to sincerely pray that Kathie Lee’s musical would find its way to Broadway. In my opinion, this is a musical with tremendous potential. It is worthy of far greater national exposure. With this in mind, I was very excited to hear the announcement that the story of Aimee Semple McPherson will, in fact, make its way to Broadway. 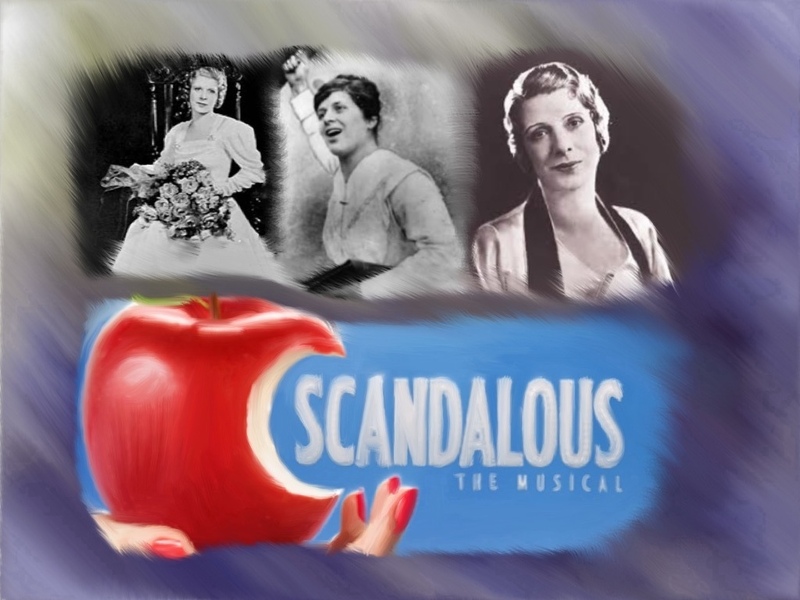 Scandalous: the Life and Trials of Aimee Semple McPherson will begin preview showings October 13th with the opening night slated for November 15th at Broadway’s Neil Simon theater. Not only is it a mini miracle for this musical to make it to Broadway, it is even more astounding that Scandalous will open on Broadway with the prayerful and financial support of the Foursquare denomination. It is this last wrinkle in the story that makes my heart leap with pride. It is a costly venture and a uniquely collaborative process to bring any musical production to Broadway. Knowing the Foursquare Foundation has provided financial help to bring Scandalous to Broadway makes me proud to be part of this uniquely forward thinking denomination. Since I’ve been closely following the development of this musical, Glenn Burris, the current President of the Foursquare denomination, asked me to share my thoughts about this arrangement. As best as I can articulate, I want to express my genuine support of the Foursquare Foundation’s extremely unique and vital partnership with Kathie Lee Gifford and the musical Scandalous. First, I believe Foursquare has shown great wisdom in promoting a musical that deals honestly with the complexities of Foursquare’s founder. This is not a work of spiritual propaganda or some sort of Foursquare sanctioned sermon. Instead, Kathie Lee has come to Foursquare with a project she has been developing and nurturing for a very long time. Scandalous is Kathie Lee’s conception of the life and legacy of Aimee Semple McPherson. The musical is not a documentary or an authoritative biography, it is first and foremost a musical! Its goal is to entertain, inspire, and facilitate healthy debate and discussion. More importantly, Scandalous is uniquely designed to honor the sincere faith convictions of Aimee Semple McPherson. The fact that Foursquare would willingly support a production that portrays its founder as flawed, demonstrates the open and transparent heart of the Foursquare denomination. The goal is not to promote something we can all agree upon, but instead to facilitate a dialogue that brings each person to a better understanding of the truth and a greater appreciation of the strengths and foibles of our leaders. 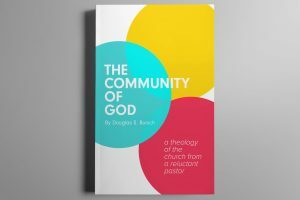 In an increasingly judgmental and pharisaical age, it is refreshing to see a denomination invest in a project that openly points to failings and faults within its own movement. A few years ago, the radio station Sister Aimee started was sold for millions of dollars. The money was turned into a Foursquare Foundation fund to support worldwide evangelism. Supporting the musical Scandalous fits right into the same heart that was behind the formation of that radio station. Scandalous will be opening on Broadway in November. It will reach out beyond the walls of the church into the cultural landscape of America. It will facilitate lively discussion, controversy, and a fair amount of passionate disagreement. Some will be deeply touched and others will be deeply offended. Some will draw close to God and others will scoff at the very idea of God’s existence. Some will leave the musical believing sister Aimee was a fraud and others will have a deep love for her life and faith. Most importantly, a fresh conversation will begin in many of the entertainment and cultural corners of America. Once again, Sister Aimee’s life and message will be influencing the nation’s dialogue. I know some will see Scandalous as a waste of money or as a frivolity in light of greater world problems and concerns. However, I would politely disagree with such criticism. As for me, I am excited that my denomination would take a risk and invest in someone trying to facilitate a better conversation. I am delighted that I am a part of something bigger than my local church. I am thrilled to let the world know that I have no problem having an honest discussion about anything within my church’s past, present, and future. Scandalous: The Life and Trials of Aimee Semple McPherson is an amazing story that deserves to be experienced on Broadway. It’s a great musical, with a good heart, and a powerful message. No matter how scandalous it may sound to some, I believe God wants Scandalous to open on Broadway. I believe this musical will touch and inspire many. That’s why I want to sincerely thank the Foursquare Foundation for financially investing in this Broadway vision. This is the kind of visionary, faith inspired dreaming that makes me love Sister Aimee and the Foursquare denomination. Great article Doug, I too am a fan of Aimee, I saw this at the 5th Avenue twice I liked it so much, and then went out and read a biography about her to learn more about her life and her ministry. So excited this is going to Broadway! Jesus like me this I know 🙂 Thanks Donna! Thanks for the article. Appreciate your perspective and heart for forward thinking evangelism. Thanks for your comments and thoughts. Trying my best to advance a better dialogue. Enjoyed your article. I’m curious to know what her family thinks of the production, and/or if they were involved in any of it. Also, do you know if they plan on bringing the production to the Los Angeles area? Good questions. However, I don’t know the answers to them. I do know Kathie Lee consulted with biographers, pastors, and individuals who loved Sister Aimee. If the show is successful on Broadway, it would probably tour. However, most shows are not successful on Broadway. Thanks for the comment. Aimee has inspired me to be a woman of courage and without compromise. Her story has given me the ability to go for it, and not be concerned with the fear of failure. It’s exciting to hear that her legacy is being revived and made known to those who may not have read or heard of her story. I love that she was just a girl, called by God, and her surrender to him was able to produce earth changing results that can never be undone. It seems Aimee was willing to let God defend her worth as she tried her best to follow. My father who was a chaplain on a Navy Ship, said nothing but praises and how she helped people during the depression in LA. I so would love to see it. Great perspective, great article. Thanks you for the clarity and honesty. Thank you for your article! I came across the story of Aimee Semple Mc Pherson when visiting Los Angeles from Australia last year. We visited Angeles temple for church and came back the following day to see the property next door which was once her home and is now set up to tell her story. As someone brought up in the Pentecostal faith I had heard of her but not in a way that was particularly honouring of her amazing legacy. But hearing the details of her life and putting it within a cultural context I got to understand so much more about Aimee. She was a real woman, beautiful, articulate, gifted – all those things but most importantly blessed with the ability to tap into the power of the Holy Spirit. As you say she was wonderfully complex, flawed and faithful. In this world where many are cynical of Christian spirituality, especially the Pentecostal variety I love that this denomination is willing to be so open and honest with their founder’s story. Hers isnt a simplistic, shallow tale that elevates her to deity status. It seems to me that the guardians of her legacy have had the courage to allow it to be told as it is and let the remarkable treasure that was in the fragile porcelain vessel of Aimee shine through. Can’t wait to see it as I just happen to be back visiting in NYC this week!